Cheryl McGrath, Bread for the Bride, 2012 Copyright Notice: Permission is granted to freely reproduce any Bread for the Bride articles in emails or internet blogs, unaltered, and providing this copyright notice is included. To permanently display an article on any static website please contact me for permission. Thank you Cheryl for the insight to loving Jesus more. How many times do we say like Peter, yes Lord I love you, When He is asking, Do you love me most? Thankyou for your comment Wayne. Can we even contain the love He is worthy of? Even our ‘more’ is measured because without His help we are unable to grasp infinity. But I believe if we respond with ‘yes Lord I love You, help me love You more’, He understands and He will meet our need in that. Like the man who said “Lord I believe, help my unbelief!” But it’s not until He actually asks the question “do you love Me more than all these?” that we can even see our own lack. Grace. WOW, this is stunning, Cheryl. The first thing I read this morning, and it’s enough for the whole day, if I just live today to love Him more. That’s my prayer this morning. Thank you! Another thing that strikes me from this woman is how love made her so gutsy. She took a risk of rejection, by believing she would be received. From this story I know that the Lord loves to be loved with such boldness. It’s funny. This isn’t the post I was originally planning on putting up today, but at the last moment felt it needed to be reblogged. Yes Pamela, this woman was desperate. Desperation causes us to re-arrange our priorities. I agree, He loves to be loved unashamedly and boldly. Thankyou for your comments. Thankyou for sharing Erroll. May we all be enlarged to love Him more. Amen. I really like this. Thanks mrteague. Do you mind sharing what you like about it? I like the view of the bride you have here–she has perceived Christ’s love & is compelled by it. Because He first lved her she loves Him “much more” than those (like the Pharisee) who judge outwardly by the knowledge of good & evil. 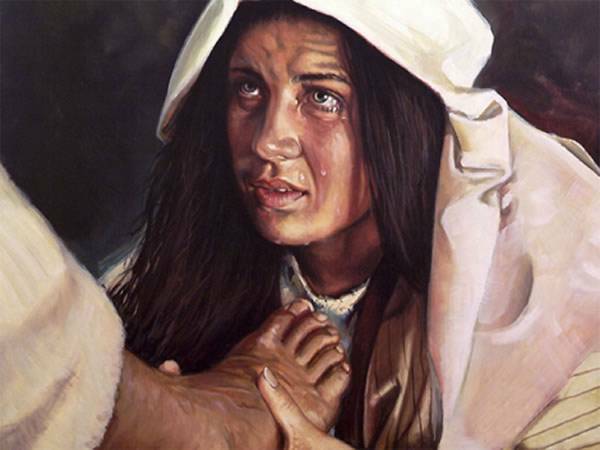 The bride (having been a prostitute) isn’t better than anyone else, just transformed by God’s love. Anyway, so many things to pull out of the picture painted. 🙂 Thanks. Thanks for expanding mrteague. Compelled by Christ’s love…..yes, that’s it exactly. Bless you abundantly!